Chris Mann is a singer/songwriter who competed this past spring in The Voice finals on Team Christina, and has since released his first album, Roads, on October 30th. He describes his style of music as classically based pop music. Roads is a unique assortment of songs including Willie Nelson’s “Always on My Mind” and Lady Antebellum’s “Need You Now” to “Ave Maria” and Damien Rice’s “The Blowers’ Daughter” featuring Mann's mentor Christina Aguilera. 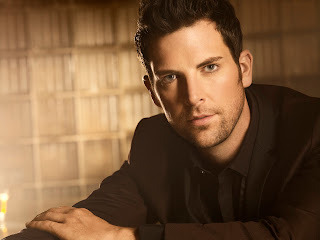 Mann co-wrote two songs, “Cuore,” based on Bach’s “Air on a G String,” and the contemporary ballad “Falling” for the album. A new take on Coldplay’s anthem “Viva La Vida” provides the album with an exciting climax. After listening to this album, I can truly say - This guy is talented! (And pretty good looking too, if you ask me!) The only way I can describe his voice is by saying it's hauntingly beautiful and smooth as silk. My favorite song on the album is also titled Roads, which not only features a catchy melody, but sentimental lyrics that really speak to your heart. I also love Mann's rendition of Ave Maria. I've heard that song about a thousand different ways, and his is one of my favorite versions. I'll be listening to this album a lot this Christmas season. 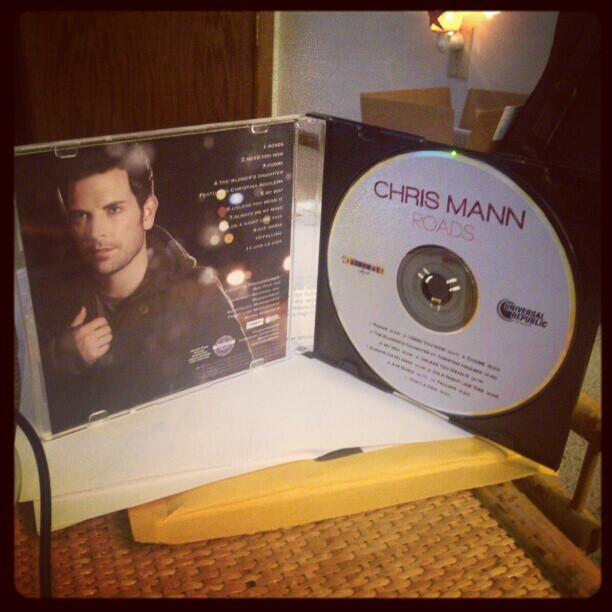 You can check out Chris Mann's new album on iTunes or Amazon.